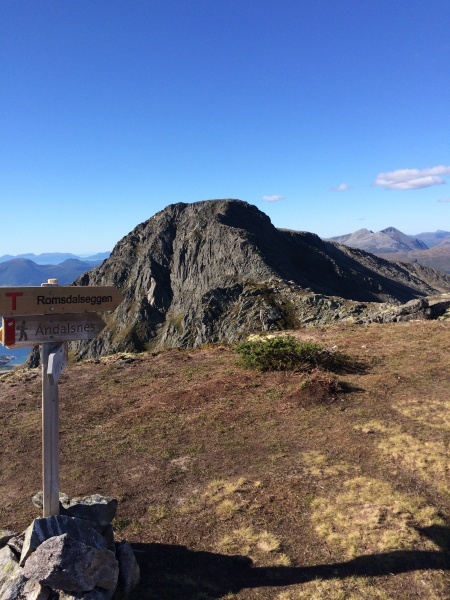 Hike the famous trip Romsdalseggen with guide who knows each Path and Rock and will tell You the unique stories from the Views around. 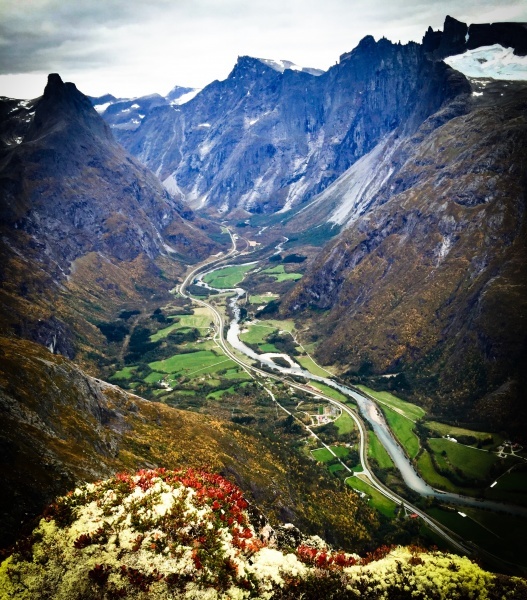 We estimate 6-8 Hours for the Hike Price NOK 850,- pr person max 8 Guests pr guide, minumum 4 guests. 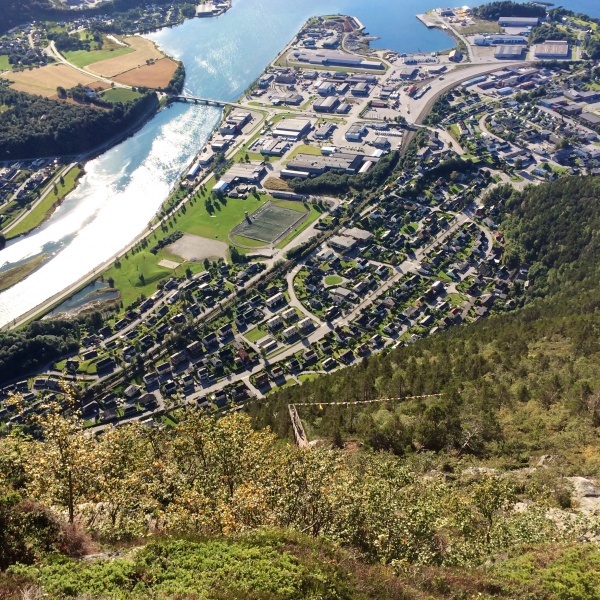 Guided tours starts from Åndalsnes City by bus each Friday and Saturday from the 6th og July ending 26th of August. Order the trip by choosing date and number of participants from this site, and You receive confirmastion with more details on equipment and time for meeting up. This hike is 10 kilometers long, and the height difference is about 970 meter. It's airy, but a breathtaking experience standing on top of the ridge. The path is well marked, and the surface is good. Some parts of the hike is exposed, and it feels scary to some people. You don't need climbing equipment, but there are chains bolted in the steepest parts for a better grip. People with a mild degree of fear of heights will, with a good companion to lean on, manage to get through the toughest part of the hike. But you should not choose the normal route if you suffer from a solid fear of heights or lack sufficient hiking experience. 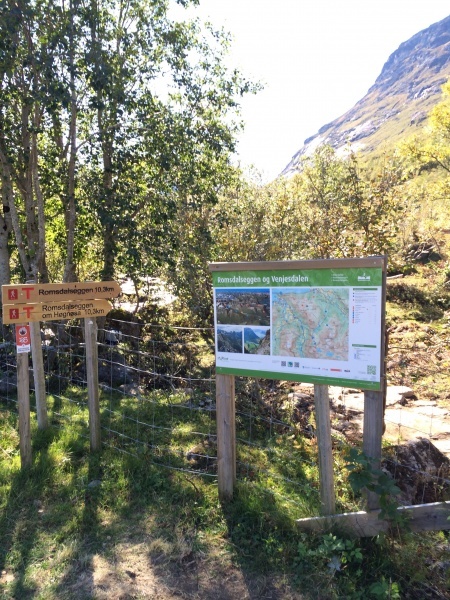 You should choose a milder route option – alternatively start the hike from the opposite direction, from Åndalsnes town. We follow the road a short distance. The start of the trail is on your right hand side just before the bridge. Follow the marked trail up the hill. About halfway up the hillside you cross the river over a bridge, and the path continues on the left side of the river. 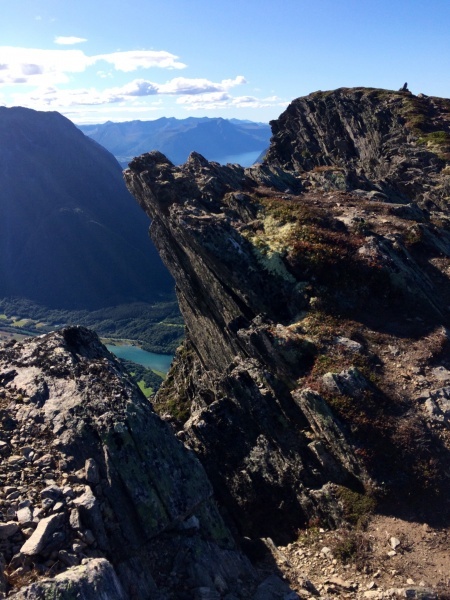 When the landscape flattens you can see the rear side of the Romsdalseggen ridge. The trail continues along the streamlet. This is the last chance to fill the drinking bottles with water, in case you don't carry any water. At Jamnåbotn the path divides. 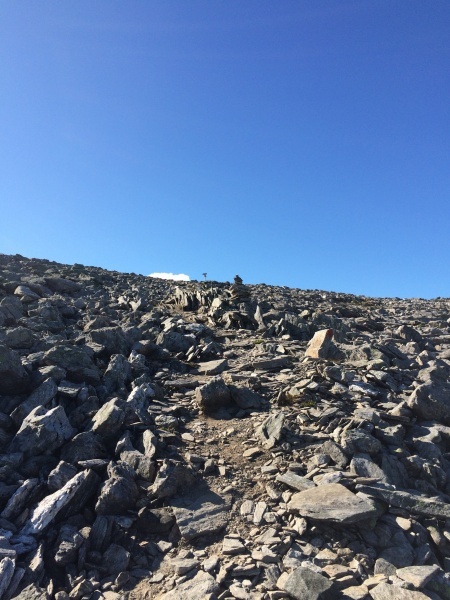 Turn left and follow the trail up the boulder in the slightly steep mountain side, to the top of the ridge. You will be rewarded with an amazing 360 degrees view. 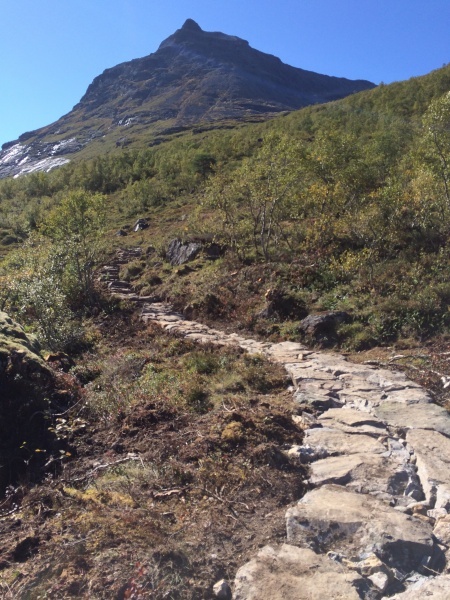 We follow the path towards Åndalsnes. You basically walk on the ridge all the way back. It gets steeper through Halsaskaret. 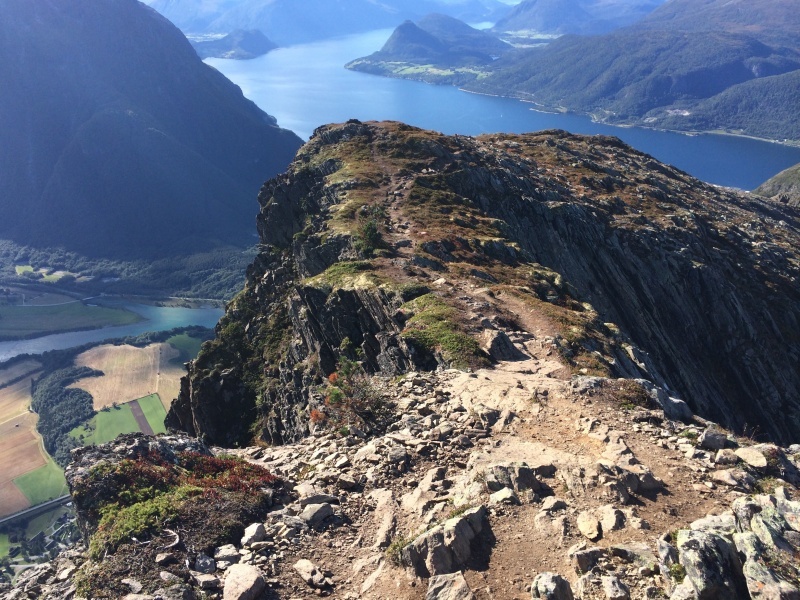 A short passage before you reach Mjølvafjellet consists of steep and rocky mountain walls to climb, but it is secured with chains in the most exposed parts. This part can be challenging for some. You should not suffer from a solid fear of heights on this route.